Right, after all the fuss of last week, it's back to business. I'm in Scotland today (metaphorically speaking) because of Morag. "The girls at work laugh at me because I have a loft full of things for 'my next house' and they are in the mould of my 'Heathcliff House' Old, grey and mysterious on the outside! If it is out there it will find me - of that I'm sure." 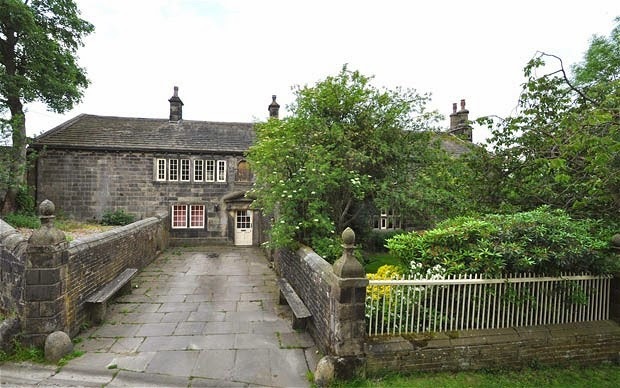 Rather bizarrely, Heathcliff's house is actually on the market. 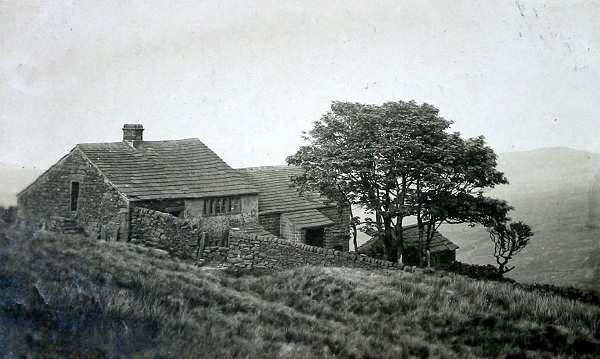 Emily Bronte probably based Thrushcross Grange on Ponden Hall (above), and is thought to have based Heathcliff's farmhouse on Ponden Hall's layout; transplanted to the location of the long-gone Top Withen's farmhouse, below. 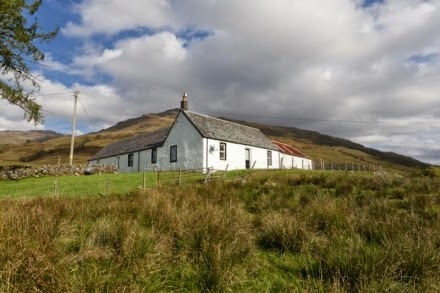 At £950k, I suspect Ponden Hall is outside the price bracket for Morag - and pretty much all of us!! But the six bed Hall plus two-bed annex has been on the market since last summer, via Charnock Bates(link here). 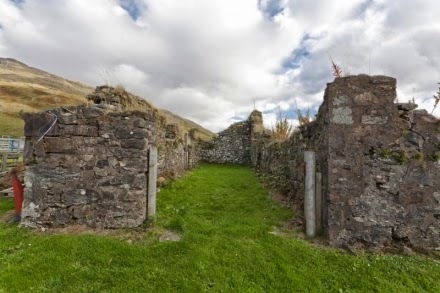 Around 60 miles from Morag is gorgeous Low Auldgirth farmhouse, below, in Dumfries. On the market at offers over £195k, through Smiths Gore (link here). Currently divided into two apartments, it needs renovating and returning to its original, four-bed home state. There's lots of space inside and outside is a big garden, plenty of parking and adjoining outbuildings - perfect for kennels (Morag breeds collies). Marginally closer, at Inversnaid in the Trossachs National Park, is the fabulously remote Garrison Farm, below. Three bedrooms, plus two attic rooms. Two self-contained studio apartments, outbuildings, grazing ground (almost five acres of land) and its own ruined fort! On the market at £225k through GKD Galbraith. Link here and PDF here. Finally, I wrote about the house below, in Elsrickle, around 25 miles from Morag, way back in July 2012. It's taken two years and a £10k price drop to attract a buyer (under offer but that doesn't mean it isn't worth a look). The house is semi-derelict (presumably more so since 2012) but comes with around a third of an acre of land. 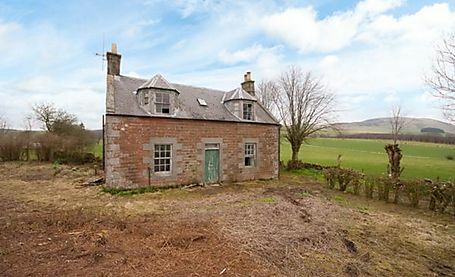 Marketed by Rettie at offers over £85k. Link here.